Joules. It is also given a core temperature of about 11,000F, (hotter than the surface of the Sun!). About 80% of that is given to radioactive decay. The other 20% is residual heat from formation. Two questions come to mind. One, how can 20% of heat from formation be left over after 4.5 billion years? What is the heat trapping mechanism that is so incredibly efficient? Remember, the Earth has an overall density of only 5,515 kg/m3, and the upper levels have a density of only around 3,000 kg/m3. That isn’t very high, especially from the point of view of heat. If we add the high spin rate of the Earth, the centrifugal effect should force heat out from center very efficiently. I have looked at some of the models, and they always seem to leave out that centrifugal effect when calculating residual heat. Two, of that 20%, 10% is actually given to gravity. Which leaves us with 10% residual, from formation. Well, if 10% is left over, then that implies that there was originally ten times more “residual” heat. Just following this heat would give us an original core temperature on the order of 110,000F. And that isn’t even counting heat from radioactive isotopes, which we will look at in a moment. This is a problem because the current theory of planetary formation for rocky planets like the Earth is a theory of accretion. Accretion is not gravitational collapse. Therefore, accretion could not possibly cause such high internal temperatures. Accretion is a slow process, and even the “runaway accretion” can last 100,000 years or more, according to the theory. In a slow process of accretion, heat easily escapes. There is no possible mechanism for trapping that amount of heat. Even if we imagine the Sun much hotter and the space around it much warmer than it currently is, accretion of a planet gives us no mechanism to trap that amount of heat, and lots of mechanisms for releasing it. Heat acts like a gas, remember, not like a solid. If you want to trap a gas inside a sphere, you have to do it fast. You can’t build your sphere one rock at a time and expect to trap anything gaseous inside it. I would think this is obvious and doesn’t need to be said, but that is not the way science works anymore. Everything is said except the obvious. The only way that could work is if all parts being accreted were fabulously hot to start with. Every dust speck or rock that was being accreted would have to be even hotter than 110,000K. Since that is 17X hotter than the surface of the Sun, the Earth must have accreted inside the Sun somewhere. But that is not the current theory. First, there’s the heat left over from when gravity first condensed a planet from the cloud of hot gases and particles in pre-Earth space. As the molten ball cooled, some 4 billion years ago, the outside hardened and formed a crust. The mantle is still cooling down. Why was that ball molten, exactly? According to the current reigning theory of planet formation SNDM, The disk of a Class 0 protostar is thought to be massive and hot. It is an accretion disk, which feeds the central protostar. The temperature can easily exceed 400 K inside 5 AU and 1,000 K inside 1 AU. That’s 1,000K, notice, not 70,000K, which is what we need to match the theory above. And that’s only in the earliest stages of accretion. We actually require a cooling to facilitate accretion in the disk, so as the Earth accretes it cools far below 1,000K. There seems to be some lack of communication between nebular physicists and core physicists. They haven’t matched up their temperatures very well. We have a miss of around 200 times here. But even that number 1,000K is too high and unsupported. Where does all that heat come from? The Sun itself is still collapsing at that point, so it can’t be producing the heat via fusion. And once the Sun finishes its own collapse, the heat is in the Sun, not at 1AU from the Sun. Currently, any dust in space existing at 1AU is very near zero temperature, despite the nearness of a huge fusing star. How could dust at 1 AU from a pre-collapse protostar have a temperature of 1,000K? No fusion and no local collapse (at 1AU). What is producing the heat? But even if we give them the 1,000K, the theory is still a non-starter. The core physicists seem to assume that the Earth would gain temperature during accretion, but it wouldn’t. It would have to lose temperature continuously. That is why Joe Anuta has to misdirect you with imprecise language. He says that we have gravity “condensing” a planet. But accretion is not condensation. He is trying to make you think the Earth is somehow gravitationally collapsing like a star, but that isn’t the current theory by a long shot. Again, accretion is not a gravitational collapse. You only get gravitational collapse with stars, and gravitational collapse requires a minimum amount of mass—mass the Earth does not have! By talking about gravitational “condensing”, Anuta is pushing you toward the idea of gravitational collapse, making you think that heat can be trapped by pressure here in some way. But accretion doesn’t trap any pressure or heat. That is what accretion means. Look it up. Say you have some hot rocks you want to glue together. We will assume you have some magic protostar glue that allows you to glue hot rocks together. What method of gluing or accreting are you going to use to prevent your rocks from releasing their heat? If the space around your rocks cools off, what is to prevent them from radiating heat into that cooler space? You will say, “I am going to do like Joe Anuta. I am going to put all my hottest rocks at the center and surround them with a crust.” But wait! You don’t get to create your planet all at once, and you don’t have a bunch of different materials you can use. You only have hot rocks, all of them pretty much the same. You have to build this planet up slowly, over a million years, say. And there are no choices to be made. If you want to add something, you have to pretty much close your eyes and throw it in there. It could be anything. You don’t have temperatures and densities to choose from. Just hot rocks. Supposing your lump of hot rocks happens to turn out somewhat spherical, and supposing your medium starts to cool, what exactly causes the shell of your hot rocks to form a “crust”? And how does that crust prevent cooling? If you bake a loaf of bread and take it out of the oven, it develops a crust, yes, but that crust doesn’t prevent it from cooling for 4.5 billion years. Even if your bread somehow magically developed a crust of lead or gold or platinum, that wouldn’t prevent it from cooling. What kind of magic crust is Joe Anuta proposing here? The current crust of the Earth doesn’t prevent cooling, and it is pretty thick and dense, compared to bread. It slows cooling somewhat, but doesn’t prevent it at all. The reason for this is that normal matter is not a heat barrier, no matter what it is made of. ANY natural material will transfer heat. There is no material naturally in the Earth that does not transfer heat across it. Some transfer slower or faster, but all transfer heat. So even if we grant Joe Anuta his molten ball with a crust, it doesn’t explain anything. The crust we have transfers heat, and any crust we could make would also transfer heat. But let us return to the formation of the proto-planet. Following the argument of these people, you are led to forget what you are taught in first-year astronomy: if a body has less than a certain amount of mass, it cannot collapse. That is why we don’t see stars under that mass. That is why Jupiter, with a mass of over 300 Earths, still did not become a star. The Earth could not meet the Jeans mass criteria, and that is why we are taught that it accreted, not collapsed. But if it accreted, it lost heat as it accreted, it did not gain it. Therefore there is no way to get the original heat content to 30 times current levels. There is no way to get the original heat content up to current levels. You simply cannot create internal temperatures of 100,000F by accreting dust that is at an initial temperature of 1,500F. Three, 80% of 1031 Joules comes from radioactive decay? That’s a heat content of 8 x 1030 Joules all from radioactive decay. Since the Earth is not a star, fusing elements, that heat must be from fission of elements there from the beginning. We are told that, “The major heat-producing isotopes in the Earth are potassium-40, uranium-238, uranium-235, and thorium-232.” So here’s a question for you: given that the Earth cannot have fused these large isotopes itself, and given that the Sun was forming at the same time as the Earth—and therefore could not have fused these large isotopes—where did they come from? To produce 8 x 1030 Joules of energy requires a huge amount of isotopes. Are we being told it all just drifted in from the nearest supernova? Now let’s check those half-lifes. U235—700 million years. U238—4.4 billion years. K40 1.2 billion years. Thorium232—14 billion years. Only the Thorium would persist at anything like original levels. About 1/5 would be gone. But half the U238 would be gone by now, 12/13ths of the K40 would be gone, and 85/86th of the U235 would be gone. So the current theorists must be telling us there was twice as much U238 in the past, 13 times as much K40, and 86 times as much U235. And, logically, if 80% of current heat is caused by radioactivity, and if there was so much more radioactive material in the past, the Earth must have had 20 to 50 times more heat from radioactivity in the past. Let’s use the lower number, to be generous to current theory. The Earth in the past would have had 20 times more heat from radioactivity, and 10 times more residual heat. That’s a total of 17 times more heat than it has now. That’s a heat content approaching 2 x 1032 Joules and an internal temperature of something like 180,000F. How can dust particles accreting at 1,500F create temperatures of 180,000F? Remember, according to the SNDM model, the protostar disk in which the Earth formed is made up mainly from Hydrogen and Helium. But now we are being told that enough radioactive material is available to create 1031 Joules of energy 4.5 billion years after the fact in a small rocky planet. By that reasoning, the Sun must have had copious amounts of radioactive isotopes from the beginning as well. Since the Sun has a mass of 333,000 Earths, we must assume it had that much more radioactivity from the beginning. So let’s do the math. If the early Earth can create 2 x 1032 Joules from its radioactive isotopes, the early Sun should be able to create 6.67 x 1037 Joules. If we add the gravitational heat of the Sun, using the same method as they use on the Earth, that gives us 1.86 x 1039 Joules (the Sun has 28 times as much gravity). Does anyone believe the Sun has that much heat due to original radioactive isotopes? No. If we could create that much heat from radioactive isotopes, the Sun could fuse as a sidelight. Which brings us to another problem. Notice that they always tell you the heat content of the Earth in Joules, rather than the heat creation in Joules per second. But once we compared the Earth to the Sun, we could begin to see that the problem is more than just one of heat content. The Earth has to be losing heat all the time, just like the Sun. The Earth is obviously radiating much less, but it is still radiating. The atmosphere is not a total heat trap. And since the Earth cannot be creating any new energy, except through radioactivity, its heat content should be steadily dropping. This is precisely why they have diverted us more and more into radioactive isotopes. They are the only source of created energy. Without the radioactive isotopes, you see the Earth should have lost 90% of its original heat, even by current theory. But even with the radioactive isotopes, the problem remains, since they have diminished even more than the residual heat. The residual heat is 1/10th of what it was, we are told. But unless we give the bulk to Thorium, the radioactive isotopes have also diminished by 2 to 86 times. Either way, we should be seeing a large and steady decrease in heat over time, and we aren’t seeing that. We don’t have any data showing a large, steady decrease in heat content over the past billion years. We see longterm fluctuations that seem to follow solar cycles, but we don’t see anything that indicates a steady cooling of the core, following a pattern of isotope half-lifes. Also notice that according to the isotope theory, the rate of cooling should be increasing with time. Half-life is a power decrease, which means we should be seeing a power decreases in heat with time. The Earth should be cooling at a power of 2, by the definition of half-life. I think that would be pretty hard to miss, 4.5 billion years after the fact. You see, with the theory of isotopes, geophysicists think they are able to dodge the question of continuous energy production. But they aren’t, due to the little problem of half-life. By choosing isotopes as their fudge, they have just provided me their own refutation. An even bigger problem is that there aren’t enough radioactive isotopes currently in the Earth to constantly maintain 8 x 1030 Joules. That would be true even if the atmosphere were a near-perfect heat trap. But it isn’t. The atmosphere is actually quite porous to heat. The heat is trapped only temporarily, as we see from this lovely chart I got at Wikipedia (on the page “Earth’s Energy Budget”). Even the 26 PW absorbed by the atmosphere (little orange arrow) is only absorbed temporarily. It joins the 111 and is released into space. Although this diagram is analyzing sunlight, not heat produced by the Earth itself, the process must be the same. The atmosphere cannot fail to trap incoming Solar but succeed in capturing large amounts of Earth radiation. What is more, NASA just released data last year showing that the Earth releases more heat more quickly than we thought. Data from CERES showed that the computer models long used to predict heat trapping were very wrong. It turns out this data affects not only the global warming argument, but the entire theory of Earth’s own radiation. It is important here because it proves that whatever is heating the Earth from within must constantly replenish the 1031 Joules of energy we are finding. Radioactive isotopes cannot possibly do that. Yes, they continuously emit, but since they can’t replenish themselves, they burn out. As a final blow to this radioactive isotopes theory, we may look at the amount of those elements thought to exist in the Earth. Thorium—7 ppb, Uranium—2 ppt, Potassium40—10 ppb. Even if those numbers are correct, that isn’t enough to continuously replenish 8 x 1030 J of energy. And if radioactive isotopes were creating a continuous amount of heat in the amount of 8 x 1030 J, we would also see a lot more Technetium and Promethium in the Earth than we see. After 4.5 billion years of fission, we should see a sizeable amount of by-product, including these extremely rare elements. We should also see more Rubidium and Cesium than we do see, and Lead208, and so on. Not only are the radioactive isotopes not there in the amounts required, the by-products of fission are also not there. As it turns out, Mars and the Moon also provide obvious data against the radioactive isotope theory of heat creation. Both Mars and the Moon are very cold, though they are also rocky accretions. Where is their heat from radioactive isotopes? If the entire interstellar medium is awash with radioactive isotopes from supernovae, in concentrations high enough to heat the Earth to 1031 Joules for 4.5 billion years, we ought to see that heat everywhere: in comets, asteroids, interstellar dust, everything. If not, why not? If it got into our protostar mix, it should be everywhere. I predict that when this all comes out in the wash, it will turn out that radioactive isotopes are not responsible for even 1%. Beyond that, it will turn out that this existing radioactivity is due to an underlying cause, which means radioactivity is the root cause of 0% of the heat. What I mean is that the “spontaneous” fission of these larger unstable elements will turn out to be not spontaneous at all, but due to the charge field. It is the charge field that energizes neutrons in the Earth’s interior, freeing them up to start fission and thereby radioactivity. I am able to predict this with confidence, because I know that the charge field is the cause of the Earth’s heat, and it always has been. It never had anything to do with trapping heat from a molten condensing proto-Earth. It never had anything to do with radioactive isotopes. These threadbare and contradictory theories are pegged together only because modern physics has forgotten about charge. Nine-tenths of current theory is misguided, and it has been misguided for the same reason: the ignorance of charge. We have seen this with dark matter, unification, quantum theory, orbits, tides, the Coriolis Effect, atmospheric weight, the bullet cluster, Bode’s law, planetary tilts, planetary eccentricities, Lagrange points, and on and on. Because physics lost track of charge 200 years ago, it keeps having to fill that hole in every problem it has. In mainstream theory, charge has become virtual: a ghost. It has never been given any real field presence. It was unassigned potentials for Faraday in 1830, it was unassigned potentials for Schrodinger in 1925, and it is still unasssigned potentials today. If anything, the situation is worse now than in Faraday’s time, because then they had some hope of filling the theory out. We have since given up. The successes of QM and QED have buried charge under a mountain of math and pseudo-philosophy, and charge is now virtual. Charge is now brazenly and aggressively non-physical, and no one even has a problem with that anymore. It is not seen as something to work on. It is only seen as something to deny. But charge is the answer to everything. It is the ultimate source of the Sun’s energy, it is the source of most Solar System motions and reactions, it is the source of the heat in the protostar medium, it is the cause of collapse with a star and the cause of the glue in accretion. And here, it is the root cause of all internal heat in the Earth. Anyway, what this means physically is that the recycled charge has 38,381 time further to go along the Earth’s radius than the proton’s radius, relative to the mass of each body. Because a Joule includes the distance through which an energy applies—a Newton-meter, for example—we need that transform in order to write our number as a Joule instead of a kilogram. As you see, I get very near the current estimate of 1031 Joules. But my number comes with the full math, which is elegantly simple. It also gives us the energy per second, instead of just a raw energy. As you see, I just calculated a heat content straight from charge. Since charge causes the heat, and since both can be written in terms of Joules, the energy I found can be applied to either one. The total charge of the Earth IS its total heat content due to charge. This also proves that the Earth must be radiating rather than trapping energy. The crust cannot be trapping internal energy for 4.5 billion years, or the buildup would long ago have been fatal. The heat content of the Earth is far from static. Charge is moving through the Earth all the time. Ok, the formatting lost all the superscripts for the powers of the quantities. You should be able to work them out from the context, but refer to the original pdf to resolve any difficulties, because life is short, and there’s a lot of them in this paper. Also, the original .pdf has a number of links to other papers and some sources for those who want to investigate further. @Miles Mathis: But charge is the answer to everything. It is the ultimate source of the Sun’s energy, it is the source of most Solar System motions and reactions…. It is as put on a light of an energy saver bulb (plasma), of course, connected to the mains..
Wasn’t the Earth almost completely melted by the impact of a Mars sized body shortly after its formation? This impact is hypothesised to have formed the Moon. This would have generated quite a bit of heat, don’t you think? Good find Rog, and a good read. Amazing what photons can do and a shame current technology can only get around power 10% efficiency out of affordable PV cells. Just a thought, as the magnetic field is expressed by the EM charge field, this also explains how planets and suns generate their magnetic fields… No dynamo required! Much simpler that the current standard model and using maths that even I can understand. Do you mean Einstein was wrong or are you suggesting something other that I have missed? Just to add from my comment above, I do think you are onto something big here. There is absolutely no reason why the Earth can not be an induction motor/generator, it does have loads of aluminium and iron in its core and is constantly subjected to a Solar EM field. This is an excellent paper and, I believe, really onto the fundamental cause of the natural cycles observed by Scafetta and others. I know there seems to be correlation with solar activity, and perhaps solar activity affects the charge field. But it also seems probable that charge fields from, in particular, Jupiter, Saturn and Venus could somehow interact with Earth’s field, causing cyclic variations. They may have a similar effect on the Sun at roughly the same time. This effect cannot be dismissed on the grounds of the low terrestrial heat flow, because we are talking about long-term cycles such as 1,000 years. In the paper I suggest that the trend of the 1,000 year cycle is currently rising at about 0.05 deg.C / decade, but heading for a maximum within 50 to 200 years at the most, being roughly 1,000 years since the Medieval Warming Period. After that maximum, the trend should decline for 500 years. It varies perhaps no more than plus or minus 2 C degrees about a level long-term (1000 year) trend, this being like the horizontal axis of a sine curve. Superimposed on that is a 60 year cycle and other natural cycles of smaller amplitude, as Scafetta describes. This charge mechanism could well explain cyclic patterns in the generation of thermal energy beneath the surface which ultimately explain the natural cycles, and all climate change, because carbon dioxide has zero effect. Nailed it, in my view! Hence, the importance of the magnetic sun (represented in the AP/AA Indexes) on climate is vital to determining global temp. No need for any decrease in cloud cover or change in radiation, only a system with oceans, slowly warming to equilibrium as a pot of water does with a stove. There will never be any linear responses to forcings that operate in non-linear manners. I have the material for an article on earth heat, was going to be a post. Quite a twist in it. Do I buy Mathis? No. I have no idea why he mentions the atmosphere as a limitation on cooling, essentially irrelevant. Go look at the Svalgard mines, now tell us about cooling. There will be major errors, always is with unknowns and guesses. > they always seem to leave out that centrifugal effect when calculating residual heat. Heat is the transfer of energy. Energy does not (classically) couple to gravity, and its relativistic coupling is so small at these scales as to be infinitesimal. Hence heat is not subject to a centrifugal force, which arises from the inertia of mass. > The Earth is currently given a total heat content of about 10^31 Joules. Who “gives” this? You can’t determine the total heat content of an object — it is a meaningless concept. Heat is the exchange of energy, and only heat change is meaningful. 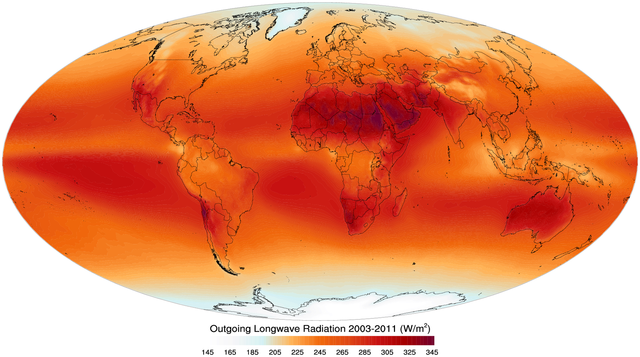 Average heat transfer through the Earth’s surface is fairly well known — it’s 44 TW, or 85 mW/m2. In no way can that account for the temperature of the oceans, atmosphere, or land. [reply] Agreed. Do you think Mathis attempted to do that in this paper? Complex difficult problems have simple, easy to understand, wrong answers. > Therefore, accretion could not possibly cause such high internal temperatures. This doesn’t follow, and a simple example shows it’s wrong. Consider a sphere of constant density. It has mass M, radius R, and so an average density proportional to M/R^3. It also has a gravitational potential energy of -3GM^2/5R. Now consider a sphere of the same mass, also of constant density, but whose radius is 2R. Its average density is 1/8th that of the first sphere, and its gravitational binding energy is 1/2 that of the first sphere. Now imagine this second sphere shrinks under gravity until it’s the size of the first sphere. Gravity does work on the sphere, so it gains energy = the difference in gravitational potential energies = 3GM^2/10R. For the Earth this is about 1e32 J. The 2nd, bigger sphere has an average density of only 1/8th of 5,500 kg/m3, or 690 kg/m3. It’s high enough that heat does not trivially escape through it. You’d have to calculate the rate of heat loss, etc., but as this shows accretion can certainly cause large amounts of energy buildup when you have such a large amount of mass (~6e24 kg) moving over such large distances (~6e6 m). Sorry, but this is some really fabulous nonsense. Your numbers don’t even make sense: you interchange units of energy and electric charge, and write things like 1C = 2 x 10-7 kg/s which makes no sense unit-wise. And then for some unknown reason you take, I guess, the radius/mass ratio for the proton and apply it to the Earth??? [Reply] Take a look at Mathis’ papers on the coulomb charge and it’s equivalence to the Bohr radius, and the supporting papers he links there, and feel free to come back and tell us what you think is wrong with them. He has generated a huge corpus of work, a lot of which does seem to hang together. I recommend you don’t rush to judgement. What – it can’t do both? Someone asked me a few days ago if Roger’s blog was becoming a dumping ground for crank science. I didn’t have an answer but I hope not. Sounds like as good a creation myth as any. What’s the evidence? Or was it just cooked up to save a theory? Mathis thinks Einstein was mostly right, but found an error in his math of around 4% of the GR effect. He was vindicated on this when the Saturn anomaly was found. Give it a rest Doug. You are just another of those people who never gives credit to others for their ideas. Except Claes. That’s why I gave Miles a small donation on behalf of the talkshop for posting his latest paper here. 😉 I’m completely undecided about Mathis overall, but some of his numbers check out in surprising ways and that’s intriguing. The reality is, the whole of physics is constantly up for grabs. It especially doesn’t belong to those who attempt to browbeat without offering detailed critique. This blog isn’t afraid of the opinions of people who haven’t studied the material on offer from non-aligned Mathis, or behave as if a couple of nitpicks are sufficient to write off his entire body of work. All. These are some of the planetary papers I need help in assessing. If Mathis is wrong, we need to understand how he manages to get quantities right with his theory. The Sun lobs out huge amounts of E/M. Planets exhibit magnetospheres. I think anyone who thinks there isn’t any kind of charge field has some ‘splainin’ to do. I have explaining to do? Can my explanation be in gibberish too? I have to admit, after you get past Mathis quirky writing style and try to understand exactly what Mathis is trying to explain It is actually interesting, Alto, I’m not completely convinced that I get it yet. What is this Charge field? and is Mathis attributing this phenomena (Which he has shown no proof of) as the driver of earths internal workings as he believes that the Earth can not possibly have maintained a an active core over a period of 4.5billion years? Maybe someone can correct me but is Mathis describing the Earth behaving like a giant laden jar? When I read the term Charge field it reminded of an Idea a marine engineer I worked with had, he told me that he knew how gravity worked and he knew how to reverse it, he went on to explain to me that when ships travel around the world their steel hulls would pick up a charge from the earths magnetic field that would make the ships rise and that is why ships needed to be degaussed when they came to port, he then said all he had to do is replicate this field to make a flying saucer. I had sore sides that day. Hoff: I’ve got your message. Please back off and watch, or spend some time reading his stuff without judging it until you’ve encompassed enough to see that some of the figures arising out of his theory are verified in several different ways. Sparks: The quirky writing style is one of the most enjoyable aspects of his work! It’s going to take some time to get your head round it, because Mathis is building a fully mechanical paradigm. No more ‘virtual’ particles with no mass but energy. Real spins, real collisions, no ‘action at a distance’. Read the Coulomb paper I linked for David Appell above please. “> Therefore, accretion could not possibly cause such high internal temperatures. Wrong David. The whole point of accretion is that it is a very very slow process, so plenty of time for energy to radiate away. The internal pressure build up will also be incredibly slow, and it is impossible for the internal estimated temperature of Earth to be caused by this effect. Read the paper again, Mathis’s maths all stack up. “Mathis has postulated a field which he claims exists, but cannot be measured:.. Correct statement from Miles. We can’t yet even measure the amount of heat radiating from the surface of our planet at any delta-t to an accuracy of 0.1%, let alone distinguish the charge field from the massive 99.9% of the number of other photons. …my theory is not a form of push gravity (like LeSage)—as I show in my paper on Allais—and it is not equivalent to Majorana’s theory, either, as I show in the same place. In fact, my theory is not as far from the mainstream as it might first appear. I will offer several examples in support of this. One, the current cosmological model is called Lambda CDM, named for the cosmological constant and “Cold Dark Matter.” Lambda [Λ] is Einstein’s own cosmological constant. Einstein wasn’t convinced of it, but current theory has found it necessary to have a small positive value for Lambda, as Einstein first hypothesized. What Lambda tells us—as its main theoretical addition to General Relativity—is that space is expanding. That looks very much to me like an expansion theory. Now, what does the expansion apply to, precisely? It applies to the fabric of space. What is space? According to current theory the answer is either “nothing” or “I don’t know.” So current theory assigns expansion either to nothing or to “I don’t know.” Why does it do this? Does it at least have a good reason? It has the same reason that Einstein had: to make the math work out. You see, in Lambda CDM it is the math that is primary. This is the way physics now operates. First you create a mathematics to express a lot of disparate data and then you try to come up with a theory afterwards to slide under the math. It is sort of like building the walls and ceiling of a house first and then trying to slide the foundation in at the end. Either with houses or with physics, it can be a headache. Thank you Tallbloke a most interesting post, I see you mention that this needs no imaginary particles or friends to actually make the system work. After a 100years of jibberywok this is a step in the right direction, has any one heard what the gnomes at Cern have been up to, they are strangely quiet of late and their euphoria fading, perhaps their imaginary friends are on holidays with the sun. We are coupled to the sun and the planets in divers ways, we are but infants in understanding and those that attack new thoughts and ideas with their narrow ingrained paradigm are the enforcers of the modern inquisition of the post normal scientist or the followers of the concensus of the standard model. Neither have any thing to show for the decades and trillions of dollars thrown at their feet. The open science with thousands of capable minds with instant communication will be their epitaph viva the internet. For a long time people have been looking for an outlet to air to the world new thought, you have supplied just the right place. Open minds are the key to the future for all mankind. Wayne J: It’s comments like that which make the whole effort of running the Talkshop worthwhile. As a historian and philosopher of science who has seen the waves of consensus arising, progressing, stultifying and stagnating through the centuries, my feeling is that the time for radical action to re-juvenate the physical sciences is here, and now. The gatekeeping activities of the Journals and the propaganda power of the institutions has to be challenged. It’s not just climate science, there are other areas such as theoretical physics and cosmology that need re-invigorating as well. The internet offers freedom of expression and research choices, as well as the ability for far flung people to get together in real time to discuss the particular ideas people offer and the ‘grand project’ at the same time. We don’t need to get into a big fight with the status quo, because we can circumvent it and get on with our own science. They might have control of the expensive experimental toys, but we have the bright unfettered inventive minds which can use the scraps off the data table to penetrate the mysteries of the universe. The theories with the most explanatory power will win, wherever they arise. Planck´s equation: E=hν (where ν=C/λ, and λ= wavelength or diameter), the smaller the wavelength the higher the energy (“pitch” if speaking of sound). An apocalypse (Greek: ἀποκάλυψις apokálypsis; “lifting of the veil” or “revelation”) is a disclosure of something hidden from the majority of mankind in an era dominated by falsehood and misconception, i.e. the veil to be lifted. Just wasted a couple of hours of my life reading through a couple of his papers including the one you posted a link to above. No change in my opinion. Hoff: Pity. Oh well, I’ll try to get Wayne’s stuff on energy budget up later for you to get your teeth into. Interaction of charges establishes a current, where charges move along following their intrinsic laws of wave motion: magnetism and electricity always at right angles (“right hand rule”or Oersted law), when locally “reconnected” or relatively “neutralized” we see them as “mass”, “solids”; as a water drop that before it has been a cation and an anion, a proton and an electron, lasting a “life” of its own, to die and decompose after, be it a water molecule or as a much more complicated arrangement of molecules called a “Human being”. The law of vibrations called Music, it is universal and it does not matter if we believe in it or not, if we are the “deaf lion” or those who enjoyed the violin concert, we have to face reality and it does not matter how much fear, conscious or unconscious, we have, the concert will go on…. and it is by far better to hear it and know it, that is our duty as “conscious” beings. 2. much of it hangs together. That’s the scientific method at work. Count de Papers. I thought climate science appeals to consensus were lame. This defense is precious. Sounds like a muffled voice from the bottom of a post-normal elephant trap. Some of Einstein’s work is pure nonsense…. but that doesn’t invalidate all of his work. It is not like post-normal science where a whole body of work collapses when an equation is proved wrong. It is not like post-normal science where new entities are invented to prevent a body of work collapsing. Miles Mathis writes about science in the old fashioned way. The old fashioned way that involves observations, mechanics, mechanisms and explanations. You might not agree with all of his theories… but you have to judge each one on it merits. Your “drive by” shooting missed the target… but you did manage to shoot yourself in the foot. I have strong reservation about large number of ‘MM’ assertions at one side of the argument, on the other I think S. Mosher’s understanding of the electro-magnetic effects is unlikely to be at a degree required to understand number of implications regarding the subject in question. Since the Earth magnetic field is generated 3000km below surface, you may wonder is there anything above the surface that can affect the Earth’s massive iron outer core (excluding gravitation). Yes there is, just those currents shown in the first link. And what that got to do with climate? you may ask. There is a logical sequence above for you to consider, to which you might find easier and preferable to say ‘nonsense’ than to appreciate the electro-magnetic world which is inseparable part of every one of us, including the very process of human thought. Crikey scientists can be completely wrong. I tuned into Costing the Earth on BBC radio 4 this afternoon and it was all about coastal sand dunes and one particular dune in Wales. Ever since I was a kid all the efforts have been to stabilise dunes, plant moran grass and try and keep the public out. Now scientists have flipped 180 degrees and are digging up the dunes removing the grass and roots, encouraging kids to play on them because they have suddenly realised that dunes are about wind driven free flowing sand, and a whole eco system depends on shifting sands. So don’t give up on trying to debunk this CO2 fad, science can change in an instant. Earth’s mantle and the Moon make it difficult to reconcile with the currently favoured giant impact hypothesis for lunar formation. – includes the hypothesis that the Moon was formed from the ejection of terrestrial mantle material in a heat-propelled jet, triggered by a run-away natural georeactor at Earth’s core-mantle boundary. If light follows a curved path through the Solar System, then there must be a rotating medium that forces it do so … (and this same medium is that I refer to in the ‘ The Angular Momentum Problem’. Reading the reasoning provided by Miles Mathis, … I would assume the planets have originated from the Sun and have migrated towards their current positions through the ‘external force’ as explained in the ‘The Angular Momentum Problem’. Thanks, MM, and to Tall Bloke for posting this. As ever with your papers MM, you leave me a shade short of outright acceptance but with nagging wonderings that won’t go away. This amateur physics kibitzer has spent around sixty years wondering about the persistence of that residual heat, and in all of that time this is the first explanation that I have not immediately rejected as manifestly absurd. I like that distinction and we have no idea which is actually happening. However, I just wonder if Miles is constructing a monolithic, imaginary body of internally consistent assumptions that aren’t really necessary to understand the real world. It is all fun and very intricately designed as an exercise in conceptualism but is it all real ? We have already established in other threads that pressure induced by gravity generates more heat where molecular density is greatest provided there is a background source of energy to raise the so called temperature (represented by the kinetic energy of individual molecules) above absolute zero. So, in any universe with ANY molecular vibration the temperature will be above absolute zero and the effects of variations in local mass density and thus pressure will present themselves as variations in local temperature. Mass in a gravitational field acts like a tuning fork. The more mass that accumulates in any location and the denser it becomes packed as a result of gravity the more the molecules vibrate and the more kinetic energy it will retain to give a higher temperature. Now you can call that a charge field or give it any other designation you like but who is to say whether such terms have any meaning ? It is just gravity acting on matter within a universe that is not at absolute zero. We do not know WHY the universe is above absolute zero nor WHY there is a gravitational field or WHAT a gravitational field actually is. The larger and denser a clump of matter the greater the interaction with the gravitational field (not the charge field), the more pressure there will be at the centre and the higher the temperature will become in any universe that starts with a temperature above absolute zero. So a clump of matter the size of the Earth will acquire a temperature related to its mass as it interacts with its own gravitational field and those gravitational fields all around it from a multitude of other clumps of matter. If there is an atmosphere too then that has a supplementary effect but gases being far less dense than solids a different set of rules applies as to how the mass of gases interacts with gravitational fields. So, all we really need to say is that the Earth’s energy content (or ‘heat’) is a consequence of the mass of the Earth itself and the mass of its atmosphere interacting with gravity both from its own mass and from the gravity all around which emanates from other bodies and indeed the universe itself. Now I have no problem envisaging that, as yet, science has barely touched the fine details of the concept of gravity as it affects individual clumps of matter on every scale between a single atom and the entire universe. If we want to nail some aspect of creation that ties everything together then it is gravity rather than any other sort of ‘field’. And I suspect that, eventually, we will find that miniscule variations in gravitational fields can have what seem to us to be sizeable local effects on the energy content and outward radiation of individual clumps of matter, Including planets and suns. That is the way forward rather than the construction of over complex but initially plausible scenarios such as that from Miles and those from many other experienced scientists. I suggest that flowing through our solar system all the time is a variable, cyclic disturbance in the background gravitational field which is the netted out effect of all movements of mass in the universe circling around us. Mostly that background gravitational variability is rendered insignificant by the gravitational dynamics of the solar system itself but nonetheless it is there and underpins all that goes on within the solar system. Taking that background gravitational field with the movements of the planets I propose that the planets do disturb that background gravitational underpinning to some degree and thereby affect internal solar dynamics. Thus the gravitational effects of the planetary movements need have no direct effect on the sun, indeed Leif Svalgaard says that they are too small to have any such effect. However I do think that the changing planetary configurations do subtly alter the external gravitational effects from the outside universe that would otherwise be the only influence on solar dynamics. So, the internal dynamics of a sun without planets around it will be governed only by the gravitational effects of the external universe and will be relatively stable and consistent in its behaviour but a sun with more planets and/or planets of greater mass and/or planets moving with greater speed will show relatively greater variability in its internal dynamics. The effects may be implausibly small in terms of the scale of the universe but in view of our microscopic size in the scheme of things such miniscule changes can affect our day to day lives significantly in terms of climate variability as the speed of energy transfers ebb and flow through our immediate environment. Defense? Miles hardly needs me to defend him. He munches content free pap like Mosh’s missive before breakfast. This is a joke then?? Weird science program called ‘Global Weirding’, invented in the West Texas but promoted among others Mike Lockwood. Steven Wilde will be pleased, it’s all down to UV apparently melting the Arctic Ice and freezing river Thames during Maunder Minimum. It’s a new chapter of the climate ‘Science Weirding’. I was pleased by the apparent acceptance in principle of solar effects via UV variability and consequent circulation changes. i) They suggested that it was a Europe only effect but the evidence is widespead that it is a global effect. ii) They said it was not applicable to recent winters because we are not yet in a Grand Minimum. However those winters did coincide with the lowest solar minimum and most negative AO for 100 years. In view of that their presentation was dishonest. In a full scale Grand Minimum the cold should be more widespead and longer lasting. We have only had tasters so far. iii) They suggested that hurricane strength had increased but hurricane index data from Ryan Maue says otherwise. iv) They failed to realise that the increase in extremes represents a change in trend from warming to cooling. The storminess of the LIA is clearly distinguishable from the benign weather conditions of the MWP. v) They failed to mention the recovering Arctic ice since 2007 which rather discredits their speculation. It melts from ingress of warm water beneath after years of strong El Ninos and is not to do with UV changes directly. Overall I think they know the game is up but are playing for time and crossing their fingers whilst continuing to dissemble. I think they could make a much better programme in conjunction with my more comprehensive climate description. I wonder whether you see the problem? I think Tallbloke should have stopped after 2. On thinking I suspect a point here is that of top-down, the way most people operate. In both cases above a body is constructed which by no surprise is internally consistent. The snag is a free flying body has in the physical world to connect correctly with reality. From my point of view I don’t agree with plenty of the content of this blog. Giving a confined space to showing and discussing is right. However, that is not so easy where having tried to do it brings realisation of the difficulty of keeping the lid on things and repelling excesses. Eggs have been and will get broken. Quite a few years ago there were long sagas in electronics with Ivor Catt, who was being given space for articles about strange ideas. This rubbed the mainstream the wrong way and yet he was correct on some things, not everything. Watching was fun, none of it did harm. Is that an aside? No. Catt and Mathis in debate would be fearsome. Have some more weirdness, how is it that totally empty space has a characteristic impedence? Mosh doesn’t understand amateur science or even understand the point of discussing fledgling science in principle. I’ve warmed up to Miles Mathis and his thoughts thanks to Roger, I may not agree or understand some of it but that’s no reason to discourage any aspect of the inquiry, in due course the scientific understanding may evolve further, which I do hope it will, best of regards on that. As always roger you’re doing fantastic work bringing thoughtful scientific discussion to the table. I’ve long enjoyed Miles’ writing. Haven’t a clue if he’s right or wrong, but he writes wonderfully and his papers are often intriguing. Of course, it’s his paper about air pressure that encouraged my question on this very blog some little time ago. Off topic here, but I am curious. TB, on reading Miles thoughts regarding air pressure, do you agree with his notion that air does not express weight and that the density of the lower atmosphere is in fact due to the earth generating the atmosphere from its very surface? That is correct, I like the sound of your definition, that is, “science done by amateurs” in context of the phrase “amateur science” It is implied, would you also agree that there is no reason to discourage any aspect of the inquiry? regardless of merit?. There is no doubt that gases are absorbed from the atmosphere and released into the atmosphere through surface exchanges involving organic and inorganic chemistry. So those processes are removing near surface molecules from the air as well as putting them into it. On balance more is put in than absorbed, but is this the cause of the density profile? I doubt it. Certainly not on its own. It is easy to dismiss Mathis by picking on defective arguments. He freely admits many things ‘need more work’ within his paradigm challenging framework. I’m specifically interested in his stuff on gravity, orbits and E/M, where I think he does make some good arguments. Some of those ideas stand apart form his more speculative stuff, and what intrigues me is that his figure for the E/M component of Newton’s compound gravitational field derived in one place, Earth-Moon relations, does successfully apply in another, the size of Mercury’s orbit, and seems to successfully account for planetary spacings in his more general solar system paper on Bode’s law. It also resolves the issue of the same apparent size of the Moon and Sun as seen from Earth. Getting back to your question, Mathis uses his weightless atmosphere argument as one of the supporting evidences for his value for Earth’s charge field. Did he account for the pressure profile in that paper? This question also loops back to N&Z. Again, you need to take in more of the thesis to see why he uses those units. Thank you. I don’t know whether Mathis is right or wrong with the central planks of his thesis, but I’m sufficiently intrigued to risk ridicule from the ‘instant dismissal’ crew to present his work here for debate. I really hope that at some point we can settle down to the nitty gritty of untangling and identifying a crucial test of his thesis on orbits and the gravitational question. See the links in my reply to Graeme above for what I hope is a sufficient list of papers which will enable us to work through the math together. “But if atmospheric pressure is not caused by the weight of the air above, what causes the greater pressure at lower altitudes? Once again, the answer is nearly self-evident, although modern scientists have found a way to miss it. We have more pressure near the surface of the Earth simply because the air is denser there. Pressure is directly proportional to density, as we can see from the ideal gas equation PV = nRT. If we hold temperature and volume steady, and raise the variable n�which stands for amount of substance (and which is basically mass)�then we must raise the variable P. We could rewrite the equation as P = (n/V)RT, and then let n/V be the density. Which gives us P = DRT. If you increase D, you increase P. The atmosphere is denser near the surface because it is emitted by the surface. So for Miles, density causes pressure, not the other way round. I don’t buy this, as the ‘weightless’ atmosphere Miles proposes wouldn’t resist diffusion. The rate of emission from the surface would have to be phenomenally fast, and this then raises the question of how the gases would recycle in his proposed scheme. I think Miles has over-reached in his desire to find supporting evidence for his E/M field here. What those like Mosher miss is that Lamestream Science has so many problems that it is sinking itself. If the consensus did not try and drive the problems at us as absolutes, people like Miles would be working with them to correct issues rather than hanging out in their own little worlds making them look like the fools they generally are. Of course, they couldn’t control purse strings and agendas if the science was open either!! Tallbloke :”Again, you need to take in more of the thesis to see why he uses those units. Hmm. Well, his email address is at the top of all of his papers. Ask him for an explanation. A wonderful book on this topic is: HYDRIDIC EARTH by Vladimir Larin. Larin’s thesis goes right back to the formation of the solar system based upon the magnetic fractionation of a spinning disk of gas and dust… where neutral particles form the gas giants on the rim of the disk and angular momentum is transferred from the central region of the disk to the peripheral regions… and ionised particles are retained and fractionated by the stronger magnetic field associated with the central region… as proposed by Fed Hoyle in 1958. Larin postulates that the inner disk formed the sun… the remainder of the central disk formed the terrestrial planets… and these terrestrial planets originally incorporated a lot of hydrogen [via adsorption, occlusions and chemical reaction] to form hydridic planets. Larin explains the evolution of the inner planets based upon the subsequent exothermic degassing of their original planetary material. This dynamic degassing process does not last forever…. when the hydrogen is gone the planet is no longer active… but when degassing is active it drives planetary expansion… it drives the magnetosphere… it generates surface features, volcanism and seismic events… it generates the atmosphere and the hydrosphere… and thoughtfully gives us hydrocarbons. > equivalence to the Bohr radius…. What does that even mean? It’s nonsense. You are mixing up quantities of different units — it’s like saying a cat weighs 10 meters. [Reply] Only if it’s Schrodinger’s cat. So I take it you didn’t read the paper. Fair enough. If you read Levitus’s papers carefully, you will see that he is always calculating heat change relative to some baseline. Joules are a unit for both heat and energy. Heat is just a transfer of energy — that is its only meaning. You can’t say an object has X amount of heat — it’s a meaningless concept, since “zero heat” is impossible (3rd law of thermodynamics). Unless you use heat in the context of an energy transfer, you’re talking nonsense, like Mathis is here. > So I take it you didn’t read the paper. Fair enough. [Snip] Sorry-Ad homs not allowed here. Reasoned argumentation please. You told me in email that AGW supporters never comment on your blog. Posts like this are why. You and many of the commenters here refuse to distinguish between science and nonscience. There are certainly good reasons to look deeply into climate science, and it’s a fascinating subject, but when your mind is so open that you will accept anything — literally anything — as long as it claims to overturn established science, you lose all credibility with anyone who does understand some science. [Reply] You’re overstating your case. Mathis comes with a warning here, see the intro to the article and my warning to check Mathis’ results before accepting his word in the comments. The reason I posted the article is because some of the observations he makes earlier in the piece are worthy of consideration and debate (though you seem to have ‘moved on’ from from your own gravitational collapse argument). I also made it clear my primary interest in Mathis work is that he is attempting a ‘classical pool ball physics with no ‘spooky action at a distance’, no ‘virtual particles’, and no ‘dark matter’. He knows that one person trying to reform 100 years of physics has a big workload and that he won’t get it all consistent immediately. He gets airtime here because his goal is worthy, and although some of his stuff is ‘far out’, some of it is pertinent to unsolved physics and maths problems, and some of it checks out in intriguing ways. So it’s a puzzle being worked on. It’s not having “your mind is so open that you will accept anything”. We don’t accept anything, we do consider everything, and offer constructive criticism. And I challenge you to quote from the email the word ‘never’ or withdraw your (second) unfounded comment. I have not fully grasped what this is all about. But I do have a question. If the earth has a charge that is changing over time, then presumably other planets do also. How do you then explain the orbits of planets fitting with gravitational theory to about 10 digit accuracy? Charge is about 10^40 times stronger than gravity, so this proves that the planetary charges are less than 1 part in 10^50 of the planets electrons. How do you then explain the orbits of planets fitting with gravitational theory to about 10 digit accuracy? Gravitational theory does not explain elliptical orbits. Gravity is supposed to provide the centripetal force that counterbalances the centrifugal force of the orbiting planet. I’m not sure ‘far out’ quite covers it. For example he has papers declaring that π = 4 and that there may be a NASA conspiracy to cover it up (http://milesmathis.com/pi2.html and http://milesmathis.com/pi4.html). [Reply] Yes, we covered that one last year. It’s somewhat tongue in cheek, but you get used to Miles humour eventually. Malaga, Newton showed how gravity produces elliptical (or other conic section) orbits. If this idea depends on calculus being wrong then I am clearly wasting my time here. Mathis says that at the limit, a tangential velocity is not an orbital velocity, and this means the ‘innate motion’ of the body must change as it orbits. Since this isn’t possible, he rescues it with his E/M field, which was embedded in Newton’s gravitational law all along. How he gets to that is by showing that as Einstein demonstrates, gravity is an acceleration, not a spooky force at a distance, and by inverting Einstein inward pointing vector to point out, he can solve relativistic math very easily by making thhe assumption via equivalence, that space isn’t curved, but instead, everything expands.. The curious thing here is that it really seems to work, and he is able to solve relativistic problems as he states. Next, Mathis then pulls apart Newton’s equation F=GMm/R2 and shows that since the gravitation part of the issue s dealt with by a simple expansion of R, the reason the masses are there is to account for the energy density which forms the E/M part of the field. It turns out that on Earth G=9.82m/s2 in terms of the attraction, but the repulsion of the E/m field slows the coming together of the masses (by simple photon bombardment – everything is emitting in Mathis pool ball physics) by just under 0.1m/s2. So the net result is the same for objects falling on Earth, but for planets in orbit, the E/M component is what sorts out the problem with the innate motion. Now I didn’t really consider this proven, until I read his Mercury paper. Which was a bit of an eye opener. I could be wrong, but his explanation of Bodes Law seems to work out well too. So I’m suspending my disbelief while I try to get help to impartially assess some of his papers. Fancy having a look with me? It seems to me that it is the duty of the curious to be skeptical. Such skepticism should be applied as evenhandedly to the established as to the new. Miles generally comes at us from odd angles but that does not entitle us to reject him out of hand just because otherwise we might need to go back to (say) Newton and attempt to look at the established concept with a fresh eye. Besides which Miles keeps me thinking anew, which Newton does not do a lot just lately. well TB it is only slowly that I find myself drawing back from WUWT which has nourished me so well from the start. I realize that it takes me a long, long time to steep myself in a new field of evidence, ideas, language idiosyncracies, main players, etc, before the patterns of sense and nonsense start emerging plainly. So aha, that’s what attracts me to the wiki format. Oh, and the habits of a lifetime of Asperger’s – just like Newton, Einstein, Cavendish, and probably Maxwell too. So, Miles’ language starts off blinding me. I skip to the comments. lots of rude remarks. then TB pulls me up short with “how do you explain that Miles has got the figures right so much” or the like. Whoa. Serious evidence. slow down and hunt. I start looking at his url’s. Heh, Sistine Chapel pic. Other pics. Use of language now starts to speak of wisdoms of life – and real science – and experiences of the really top scientists and engineers not the secondraters – that I also know, often from bitter experience. I see familiar reactions at Amazon, two-tail reactions, dissing wins. I’ve seen it before with the outrageous best stuff. This man cannot simply be dissed in five minutes. Either he’s a fraud or he’s a Tesla. Even Tesla used the appearance of idiocy to protect himself in later years. You got me interested again TB. I’ve been following Miles Mathis for years, with shock and amazement at how he can fool so many people who seem reasonably intelligent. All of his “theories” are based on a phenomenally convoluted reworking of math, starting with the premise that “a point on a graph has two dimensions” and working up from there, but curiously stopping short of integral calculus. His papers are based on quote-mining Wikipedia articles, even though he’s written that Wikipedia is a vast conspiracy by the government and high-falutin’ universities. Read the reviews of his book on Amazon to get an idea of some of the rabbits he’s pulled out of his hat, which you might have missed. You do know that Miles Mathis has “proved” that the value of pi is exactly 4.0, right? Did you know he has also “proved” that there is no such thing as green wavelengths of light? Anyone who takes Miles Mathis’ ideas seriously needs to dig deeper into what they’re all about. Seriously, you owe it to yourself. Not looking equally at criticism is willful ignorance. Do you not find it a problem that his “charge field” and “bombardment photons” are neither observable, testable, nor falsifiable? Because I think that’s a little bit of a problem. All of Mathis’ ideas are based on a convoluted reworking of math, starting with the premise that “a point on a graph has two dimensions” and working up from there. His papers are based on quote-mining Wikipedia articles, even though he’s written that Wikipedia is a vast conspiracy by the government and high-falutin’ universities. Read the reviews of his book on Amazon to get an idea of some of the rabbits he’s pulled out of his hat, which you may have missed. Did you know he has “proved” that there is no such thing as green wavelengths of light, or that the coriolis effect doesn’t explain how water swirls down the drain differently in the two hemispheres (no one but Mathis claims that it ever did)? Rather than being impressed by convincing rhetoric, you should be angry that someone is making a living (donate!) by confusing lay persons who are legitimately interested in science. Fraud – NO, a Tesla – NO. Rather someone unique who decided to take the time to painstakingly examine the work of previous generations of venerable scientists to see if the foundations they laid where good enough to build a modern skyscraper of science upon. His Rosetta stone was the discovery, by genius or an artists eye for detail, that both Newton and Einstein had failed to realise that the gravitational constant contained the repulsive EM charge field. This small oversight meant they failed to realise that they were already working with a unified field, with charge accounting for just ~0.1% at planetary scale. Following this discovery, Miles was able to correct many of the mistakes caused by this simple wrong assumption, just using simple algebra and pool-ball mechanics. This has led to a consistent body of work of vast scope which spans most of the sciences and explains away many of the problems and paradoxes we currently find. This is where his genius comes in. So do I think Miles is correct in all of his papers – NO (and he has already made several corrections). Will what Miles has discovered so far change the direction of science – YES. Will any of us live to see the revolution happen – NO. All we can do is read his papers and enjoy going along for the ride. Occam’s razors seems to have been forgotten by this generation of scientists, but I’m sure Miles will continue to wield it and keep it sharp as he demolishes today’s tottering edifices. One more thing, how is it possible to get past this in the intro: “Infrared photons rising up from the Earth are indistinguishable from heat. Heat is infrared. Heat rises. My charge rises.” In one line Mathis has managed to conflate radiation with convection, charge with infrared wavelength, to hand-wave away the fact that his charge photons are unfalsifiable. But this is all good in the spirit of rigorous science? Jack, you must have been reading a different set of papers to me, because he does no hand-waving in the papers I’ve read, just simple maths which most people with a basic science education can follow, to produce the correct answers to problems not solved by the mainstream model. Take the time work through the numbers, Jack, and you’ll find that they are usually correct. It is the current dogma that pushes equations, fails to correctly allocate variable and generally ‘fudges’ things to get the results it wants. Let stop the current scientific fashion for heuristics and follow Mile’s lead in developing theory before doing the maths. – “the high spin rate of the Earth” — high in terms of what? You can just as easily claim that the Earth spins slowly. It sure seems to be spinning slowly today. That’s hand-waving. – “the centrifugal effect should force heat out” So the Earth should be flinging photons into space? And yet somehow, objects with actual mass don’t get flung off the planet with them? Mathis writes, “I have looked at some of the models, and they always seem to leave out that centrifugal effect when calculating residual heat.” Funny how that happens. Anyone who takes Miles Mathis’ ideas seriously needs to dig deeper into what they’re all about… Not looking equally at criticism is willful ignorance. I have been looking at Amazon reviews. I take their reviews quite seriously. I have been digging. I’m a pesky terrier. I dig-an-dig-an-dig. Last time I dug-an-dug-an-dug a similar set of reviews, I ended up with proof of the opposite of what the most intelligent-looking ones said. Yet I had started off with thinking maybe they were right. Presently I realized that ancient debunking ploys were at work, consciously or no. Your comment about green wavelengths is, to me, a very interesting throwaway remark. Have you ever worked with a prism? You don’t need a fancy prism, the edge of a mirror will often do. What you need to do is look at the coloured edges, where light meets dark eg at the edge of a window frame. Note the rainbow colours carefully. What do you see? Any green? No? Look again. Find it anywhere? No? Well, where’s the green gone then? There is an issue here. And I think I know the answer. And it might, just might, support Miles. However, without digging deeper, I cannot be sure how correct I might find Miles’ position to be. As a good scientist, I refuse to hypothesise on what I have not examined. But what I hear suggests that, whatever “handwaving” language Miles uses, he is getting results. And that is the most important thing. Check the results. Do the methods of getting them look plausible, scientific, open to proof / evidence? THEN think about rewriting in language people understand and cannot call “handwaving”. Results in science are and always have been about experiments. Don’t get me wrong — if Miles Mathis actually did get results, I would applaud him. But he has never performed an experiment that would contradict the Standard Model. If rigidity depends on density, if pi = 4.0 in kinematic situations, etc. etc., there would be simple experiments to prove them and Mathis would become world-famous overnight. I once asked him why he never did one big experiment that would attract widespread interest for his theories, and his response was, Oh, I don’t have the time for those things and I prefer to just write papers. Huge red flag. Another red flag is that Mathis offers no place for public criticism or exchange of ideas. All critiques have to happen on secondary sites like this or Amazon. A scientist with robust ideas welcomes challenges so they can be strengthened. Miles is the Wizard of Oz, and he doesn’t want anyone poking around behind the curtain. About green light. It’s funny, I have a green 532 nm laser pointer right here. Does that mean manufacturers of solid-state electronics are part of the conspiracy to pretend that green light has a wavelength? What would 532 nm light look like if not green — blellow? I hope you realize how ridiculous all of this is. Hi Jack. It’s as ridiculous as you want it to be. Theoreticians rarely make good experimentalists, though Miles has recommended a few ideas on designing them. If I was writing a new paper every three days I wouldn’t find time to run a forum either. Have you produced any work comparably entertaining or insightful? Feel free to point us to it. You have not followed what I actually said – which has nothing to do with your laser, details of which I don’t doubt. You won’t discover the present unless you unwrap it. And as I said, I’d still need to examine Miles to see if he was plausible to me re. green light – he could of course be talking about lunatic green cheese, which may have nothing to do with the experiment I described. Lucy, I don’t have a prism handy, but I looked at the back of a CD under incandescent light. I see lots of green, a full spectrum from deep violet to dark red, with a swatch of green taking up a good 20% of the band. So I’m afraid I don’t know what you’re talking about. I absolutely feel that people should ask questions and demand better answers. But, I’ve found that a common-sense observation by one person rarely overthrows the efforts of hundreds of years of experimental scientists worldwide. It’s like, when the creationist Ray Comfort asked why life doesn’t evolve in a jar of peanut butter, he didn’t exactly overthrow evolution by natural selection. I hope you don’t consider that to be valid scientific evidence. Cheers Jack, thanks for response. well, to put you out of your misery, what I’m actually referring to is the scientific work of one Johann Wolfgang von Goethe. It doesn’t deny any of what you’ve said about your green laser etc, it gives another slant, another angle, and one I find most useful to hold alongside the conventional angle. I do both and find the interaction fruitful and fun. Goethe’s work on light was unfalsifiable and non-predictive, which is why it isn’t science. Purely a matter of faith. Kind of like Mathis’ magic unobservable particles that get flung off the Earth when it spins. Nobody got around to addressing how that would be possible, or the fact that he incorrectly assumes conductivity is inversely proportional to density, but I guess his theory about the Earth is all good anyway! Great to see we’re being all scientific-like here. Anyway, thanks for putting me ‘out of my misery’ — sounds like a kiss-off and my heresy against the Mathis faith is no longer welcome here. TB said: Whether or not you are prepared to entertain his theory, this piece will entertain you. TB said: I’m completely undecided about Mathis overall, but some of his numbers check out in surprising ways and that’s intriguing. TB: Said: This blog isn’t afraid of the opinions of people who haven’t studied the material on offer from non-aligned Mathis, or behave as if a couple of nitpicks are sufficient to write off his entire body of work. Jack says: my heresy against the Mathis faith is no longer welcome here. It’s your false statement that is not welcome here. I was fascinated by this posting by Miles Mathis. I spent an hour reading and re-reading it. It illuminates a lot of things that I had been unable to understand. There may be things wrong with it but they are not obvious to me yet, and there is a lot more that stimulates imagination and interest. Rotating bodies have a lot of unexplored qualities and the fact that they are all around and inside ourselves makes the lack of investigation really curious. Thanks to Tallbloke for hosting this read. Our understanding of these matters seems to be just at the beginning and not the end. There are no standard models here and up to now there has been nothing that made any sense. Open minds and Open Science are the future to understanding not closed minds, faith rituals and censorship. TB, your approach has been fine — what disturbed me was reading regurgitated Mathis-isms such as “force at a distance [aka MAGIC]” and “the gnomes at Cern’s imaginary friends,” coupled with these readers’ inability to recognize Mathis’ own magic and imaginary friends. It disturbs me that Mathis sets up straw-man versions of “big science” aimed at people who don’t know better, and then convinces them that everything from pi to quantum tunneling are just made up. No, science isn’t perfect, it has much to do and some of it clearly needs to be thrown out and redone from scratch. But the experimental, falsifiable approach has worked extremely well, and no amount of slander and conspiracy talk from one person will change that. There is a right way and a wrong way to be a renegade and confront the sacred cows of physics. Guys like Julian Barbour, Garrett Lisi, Lee Smolin and Paul Davies are doing it the right way, from an informed position. I’m sorry but no independent researcher is going to make meaningful contributions with high-school algebra and a litany of childish observations. I mentioned creationism; there’s very little difference with this case. The strategy is identical, and the claims need to be afforded equal scrutiny. If only one point of mine registers here, let it be that! In closing, most of your readers seem healthily skeptical, so I hoped to get them to ask questions that perhaps hadn’t been considered on first glance. But I understand that I won’t reach everyone. Thanks for the conversation. Let’s say seven billion years, all other things being equal, although the cooling will of course take longer than this as the thermal gradient decreases with time. This approximately doubles the cooling time to 14 billion years. Doesn’t seem to me that there are any glaring imbalances here, but maybe I’ve done the math wrong. I will leave the math arguments to those better qualified but instead of reading the book reviews there are papers on the net which I found interesting. I printed off this partiicular paper among others and in the neutron he notes it does not emit radially. It is forced to commit to follow the 4 spin paths and exit opposite pole. This causes it to encounter and cancel a photon spin, incidentally wasting the neutron energy. He says—the charge cannot be swallowed, it has to be released or it would explode from charge pressure. Thinking out loud here the recent Chandra photo showing layered elements in the nova center of Cass A 300 y after, and a startling absence of iron led me to consider how the iron core of a star could be heated —and a neutrino producing starbit or neutron bitsy would radiate enough charge to heat the star’s iron core leading it to quantanize itself as a white dwarf, which is what they now think the nova of Cass A produced; emerging directly from the iron womb and leaving the elemental layers still in evidence. O Manuel and Iron Sun fit this evidence. newgeology.us gives us a better interpretation of our geologic history supporting S W Carey. And to carry MM further, I consider our periods of magnetic reversals (stripes) physical evidence of magnetism (stripes) and no magnetism or our holy grail of science anti gravity. Only I do not think charge causes this without an instigator, in my theory a bit of anti matter that corrupted our balanced system and made us the unique gravity well system. A lot of comments that could be refined to actual replies with the deletion of others. Remember reading layman’s science book in which O Heavyside was featured as basically nuts if not dangerous ( at least to his housekeeper whose family had to rescue her) but he was self-taught and since he took Maxwells original postulates and condensed them to two (2) and two (2) variables, a genius. His last interest was the age of the Earth after which he quit working. I follow MM and his paper on the neutron’s path back out the opposite pole without being allowed to exude from the equator, and his comment that the charge cannot be swallowed or the neutron would explode from charge pressure. I had been thinking about O Manuel’s Iron Sun theory in relations to Cass A most recent Chandra photo in which the elements are shown relatively still layered 300 y after the nova. It would appear to me that the nova was not a gravity collapse but a blow out. It would appear the iron womb of Cass A was the site of heat increase (charge according to MM) that restructured the quanta to white dwarf or G G nuclear fluid (which is coming back into usage since George is long gone) core. Hi Roger: How was the trip? Have you worked backwards as Mathis did to see what that means for how much radiation there was 4.5billion years ago and how much heat of formation there must have been? He seems to think it’s not possible, and I think I agree with him on that. Katesisco: One of the puzzles I laid to one side but needs revisiting is what might have been lost in Heavyside’s shift from Maxwell’s quaternions to his tensors. This may havve a bearing on why the Loschmidt paradox is seemingly intractable. * The earth started out cold. * It was heated by a combination of radioactive decay, gravitational compression and (for the first 500 million years or so) meteorite impacts. * It was still heating after 4 billion years, i.e. up to about a billion years ago. The summary also provides a couple of interesting backup graphs showing how the radioactive decay heat contribution and temperatures at different depths in the earth are thought to have changed with time. It looks plausible to me, but again maybe I’m missing something. I don’t think that Miles is anywhere close when it comes to the heating of the earth. Radio active decay would have ended long ago as the most abundant elements that could decay have short half-lives and the heavier element don’t exist in anywhere near the concentration to make a difference. There is no mention where the energy from the change in angular momentum is going to and a host of other matter besides. Hi TN: As I read it. Miles is criticising the standard theory’s reliance on radiactive decay to explain the Earth’s internal heat, rather than supporting the proposition. He seeks to replace it with heating by the ‘charge field’ he proposes. Wayne Job: Excellent idea! I totally agree! It would be really fun to play Catan or Pandemic in person with you and TallBloke… if we all lived in the same town? I’ve asked around a bit, but haven’t gotten a reply to a climate-earth-heat related issue. Perhaps no one else noticed, or perhaps I mis-read the data and there was nothing to notice, but did anyone else notice a conspicuous ab-sense of a jet stream occasionally over North America? Recently the town I lived in got hit with a freaky ‘out of the blue’ electrical and wind storm from the north, when all our weather comes from the west, south or some combo of s/w. I began to wonder just how similar to the fictitious Eureka we were! LOL. So during the storm (running on batteries, not plugged in least my PC get power-outlet zapped by the freaky lightening outside) I looked up the satellite weather, with wind chart overlay, and couldn’t find the jet stream anywhere…at any altitude. Weird? or just a mis-read on my part? Interestingly, a few weeks later NASA sent up a spectacular display of 5 rockets out of Virginia in rapid fire order…for checking out our atmosphere? I wish I could leave an attached photograph clipping/snap shot of the weather chart on the blog; maybe it is possible, I just haven’t found that control yet? So much of these ideas seem to lend themselves to a white-board or tablet-sketch-type response? Hi Strategychick, and thanks for your weather report. What was the date of the storm? If you upload your images to a free service such as FlickR, you can then paste the web-address of the image here, and one of the moderators can enable the display of the image. Please have a look on the hydridic Earth conception of Dr.Larin. Hope this helps. Otherwise, waiting for Your next papers “How the charge field expands Earth” and “How the charge field causes earthquakes”. Our floating moving continental plates causes earthquakes usually, with the photon charge field through Earth providing the energy to drive the continental plates. TB – Science needs more people like you!